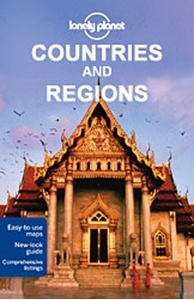 The Countries and Regions series from Lonely Planet are market-leading comprehensive guides aimed at independent travellers and serve a large range of international destinations. Frank and informal in style, the guides explore an extensive range of sights, activities, accommodation, restaurants and nightlife and are designed for practical use while travelling on the road. Written and researched by a team of experts, each book is independent in its recommendations and suggestions, often offering individual takes on individual destinations. Widely recognised for their reliability, each Lonely Planet country and region guide has the same layout. Introductory sections profile the destination with individual chapters on particular highlights, getting started, (including when to go) itineraries, history, culture, arts, food and drink and the environment. Each guide is organised geographically by region, with individual sections detailing an extensive range of sights, places of interest, attractions, restaurants, nightlife, accommodation and any local activities. The guides have detailed explanations of historical context where relevant. There is also practical guidance on ‘getting there and around’, allowing visitors to plan their trip accordingly. Information boxes throughout the text give insights into local culture and customs as well as offering suggestions for restaurants and bars and notable shopping opportunities. There are dedicated sections on major cities and towns within each region, with relevant information on orientation, sights, activities, eating and drinking, tours, courses, festivals and events. Accommodation is divided into budget, mid-range and top-end in order to cater for a wide range of budgets. All places highlighted in the text are cross-referenced to black and white overview maps showing their respective locations. ‘Don’t Miss’ information boxes give bullet-pointed lists of notable local attractions and their relevant page numbers in the guide. An extensive Directory section gives important practical guidance on accommodation, activities, business hours, children, climate charts, customs, dangers and annoyances, embassies, insurance, internet access, maps, money, photography, shopping, solo travellers, transport, travellers with disabilities, visas, volunteering and women travellers, among other useful information.